The view from close to the corner of Chapel Lane. A currently-vacant building at the corner of Queen Street and Castle Street. There is the following application (19 December 2018) for planning permission “LA04/2019/0068/F Demolition of existing building and construction of 54no. apartments with associated landscaping and a retail unit at ground floor. 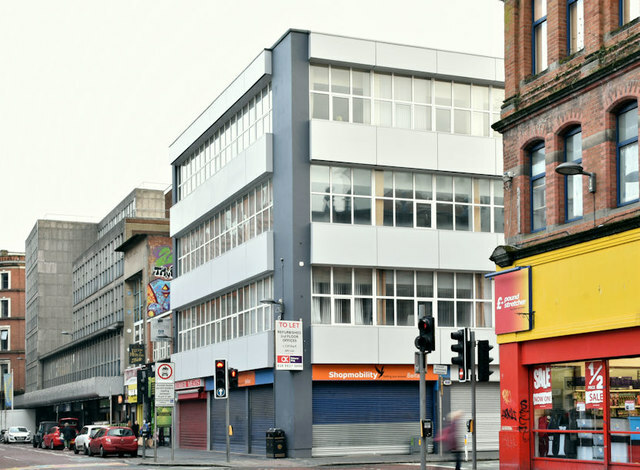 Westgate House 2-4 Queen Street Belfast”. The proposed elevations, available on the NI Planning Portal, show seven floors (including the ground floor). I have no connection with the application and cannot enter into correspondence.